Once you have your cupboards stocked with these healthy ingredients, easy meals become faster and more fun to make. Cooking lentils from scratch is super easy and doesn’t take up a lot of time (plus, unlike beans, they don’t need a pre-soak). This satisfying legume is a great source of fiber and a plant-based protein that can be enjoyed in a wide range of applications thanks to so many varieties. Try brown lentils, the most commonly found, in soups and stews. Green lentils hold up their shape which makes them perfect for salads, while red lentils break down into a creamy puree, serve with rice or use them in soups or Indian-inspired dishes. Beluga lentils are a little on the fancier side, but this chewy variety really keeps its shape and makes a great side. 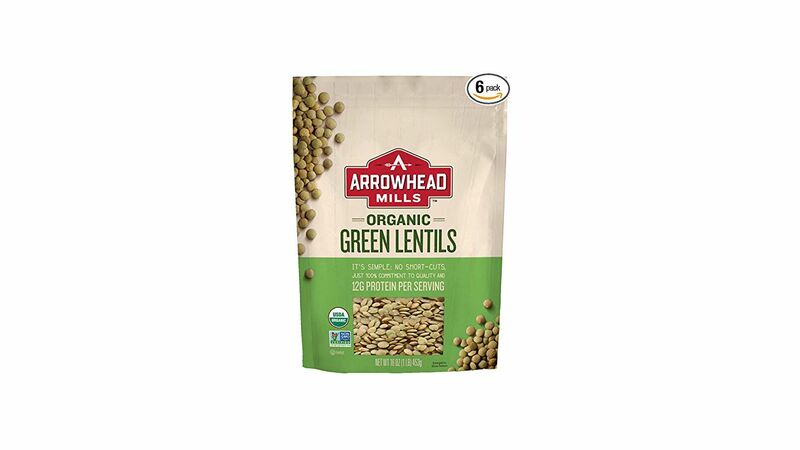 To buy: $15 for 6-1lb. packages; amazon.com. The secret to cooking healthy meals is stocking your kitchen (and empowering yourself) with the right healthy ingredients. That's why as part of Better For You (a new monthly series here at Real Simple that helps you make fast, healthy, crave-worthy and full-of-flavor meals) we thought it would be super helpful to help you build a pantry of these healthy ingredients. Simply gather the essentials below and always keep them on hand. They’ll be the building blocks to preparing healthy easy meals you’ll actually enjoy eating. Extra virgin olive oil is considered the finest and therefore the most expensive of olive oils. It's also the most popular for cooking. It’s cold-pressed, meaning it’s produced using only pressure (no heat) for low acidity. The darker and deeper the color, the more intense the olive flavor. It’s better to cook with olive oil when roasting or sauteing at a medium-high temperature or lower (leave other neutral oils such as vegetable and canola oil for high-temperature cooking like searing meat or frying) for its purity and antioxidant properties. A little drizzle to finish off a dish definitely comes in handy like in this Spiced Sweet Potato Soup with Pistachio Dukkah. We stand behind Lucini for their attention to quality in making pure and true extra virgin olive oil, as well as California Olive Ranch, especially at a time when not all olive oil labeled “extra-virgin” is in fact, extra virgin. And for a higher-end olive oil you'll want to drizzle on every dish, Laudemio is worth seeking out. We experienced first-hand the high production quality and the attention to detail that goes into making this Tuscan olive oil. Plus, due to the growing conditions and the point the olives are harvested, makes the oil rich in nutrients (yay, antioxidants!). 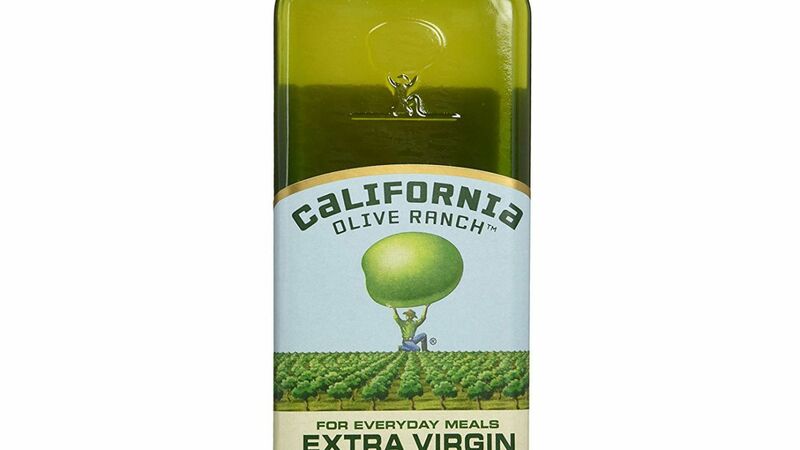 To buy: California Olive Ranch $20 for 25.4-oz. bottle; amazon.com. We love kosher salt because its even texture and consistent grain size make it predictable. But it is, essentially, a processed food. 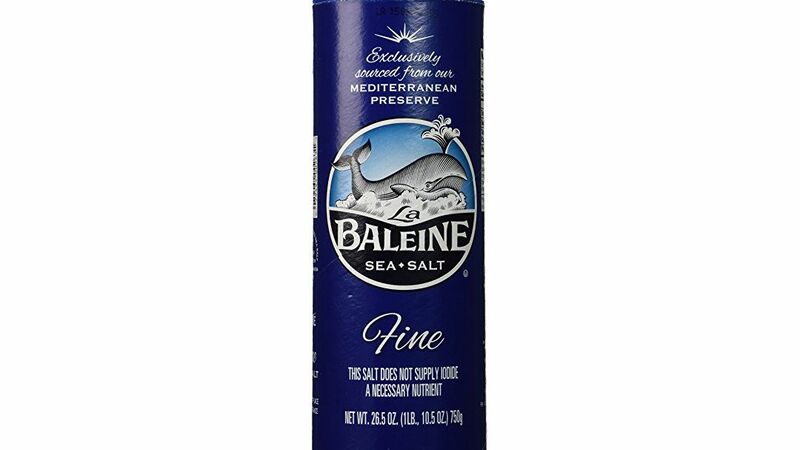 For a Better-For-You kitchen, stock up on fine sea salt which is harvested by evaporating seawater. We call for it in BFY recipes. While you’re at it, pick up some flaky sea salt as well—its crunch and sparkle are stellar for finishing dishes like this Brussels sprout flatbread or as part of this oatmeal topper. To buy: $9 for 26.5 oz. ; amazon.com. 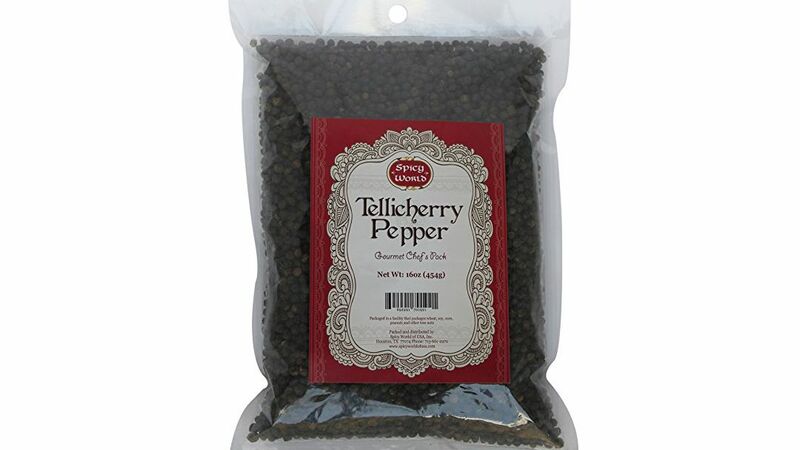 Do yourself, and your cooking, a favor and pick up a bag of black peppercorns and a pepper mill. Spices, including pepper, start to lose their flavor and pungency as soon as they’re ground. For maximum flavor and a more reliable kick, freshly ground black pepper is the best choice. We love the durability of a Peugot pepper mill. Chickpeas and beans such as cannellini, black and pinto beans can bulk up a meal as well as take center-stage for plant-based protein. This Chickpea Salad Sandwich is a great example of what having a can within reach can look like. 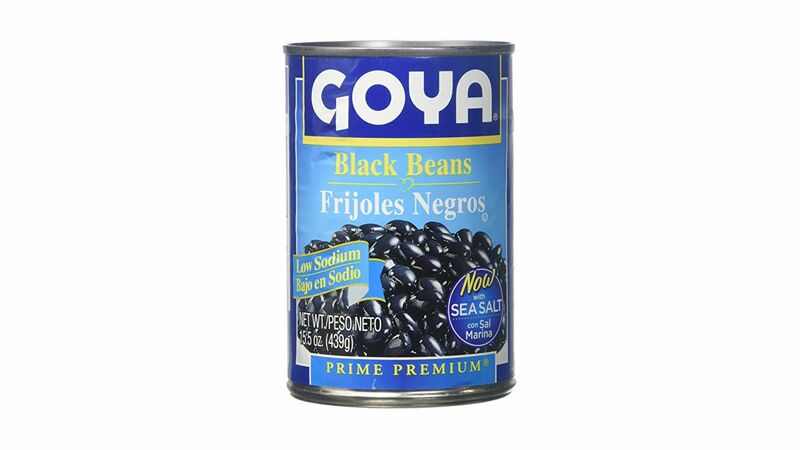 Always drain and rinse canned beans before consuming no matter how you plan on eating them to help wash off some of the unnecessary sodium (we recommend choosing low-sodium beans whenever possible). Here are some of our favorites. To buy: $1 for 15.5 oz.-can; amazon.com. Cooking lentils from scratch is super easy and doesn’t take up a lot of time (plus, unlike beans, they don’t need a pre-soak). This satisfying legume is a great source of fiber and a plant-based protein that can be enjoyed in a wide range of applications thanks to so many varieties. Try brown lentils, the most commonly found, in soups and stews. Green lentils hold up their shape which makes them perfect for salads, while red lentils break down into a creamy puree, serve with rice or use them in soups or Indian-inspired dishes. Beluga lentils are a little on the fancier side, but this chewy variety really keeps its shape and makes a great side. To buy: $15 for 6-1lb. packages; amazon.com. Keep your favorite whole grains on hand for a hefty dose of fiber. Store grains in your cupboards in airtight containers or in the freezer for a longer shelf life. Some of our go-tos: brown rice or farro for a grain bowl, bulgur tossed with tomatoes and parsley for a quick tabbouleh salad, and rolled oats for a hot breakfast and even as a gluten-free binder in meatballs. To buy: $27 for 6-32 oz. packages; amazon.com. 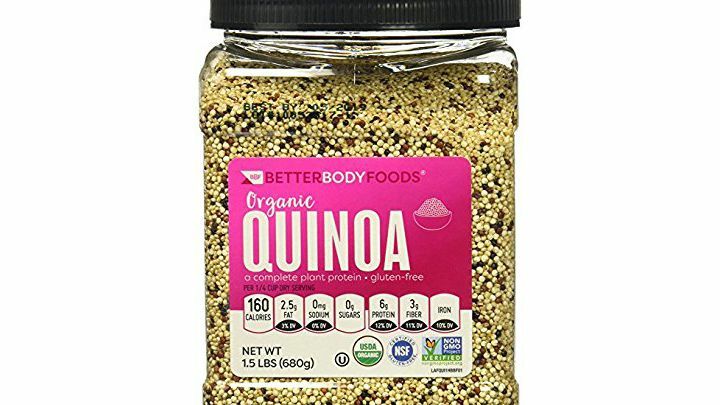 Though commonly confused for a grain, quinoa is actually a seed. It’s considered to be a complete protein because it contains all the essential amino acids our bodies need. It cooks fast and it is lower in carbohydrates than most grains, plus very high in fiber. 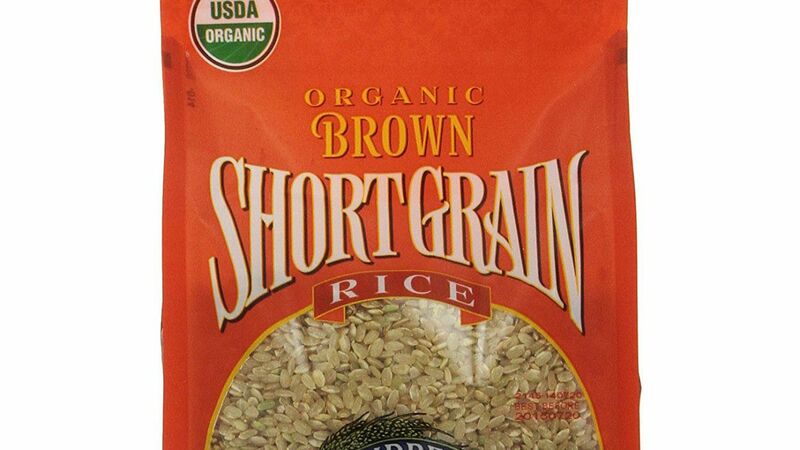 Use it in place of rice in a burrito, or even have it for breakfast in both sweet and savory takes. To buy: $7 for 1.5 lb. ; amazon.com. 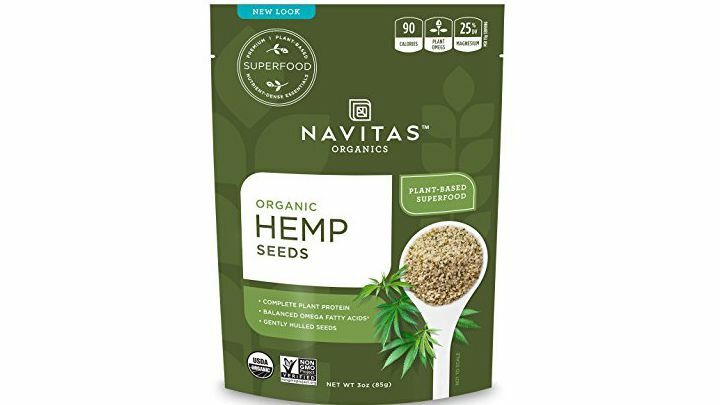 Almonds, pistachios, cashews, walnuts, pumpkin seeds, hemp seeds, sunflower seeds, flax seeds, sesame seeds, and chia seeds are all high in protein. Pick your favorites and keep them on hand to perk up meals with crunch and a nutritional boost. Nuts are also high in calcium, vitamin E, fiber, and healthy fats, as are seeds. It's easy to find a good variety at the store, but we placed them all on this list for you so you can get them all at once. To buy: $6 for 3 oz. ; amazon.com. Rich in B vitamins and protein, miso is a nutritious fermented condiment made from soybeans and sometimes rice and other grains. It aids in digestion and its probiotics make for a healthy gut. 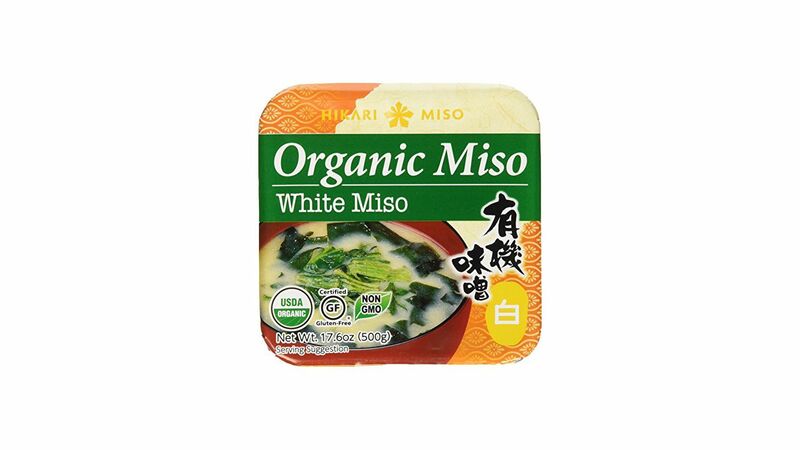 White miso is the mildest and slightly sweet. Yellow miso, made with barley and sometimes rice, is a bit stronger in flavor than white miso but still mild enough for all-purpose uses. Red miso is made from soybeans, barley and other grains, and fermented longer which makes it the most pungent of all. To buy: $10 for 17.6 oz. ; amazon.com. Every dish needs a bit of acidity to taste balanced and maximize its flavors. Apple cider vinegar (ACV), made from fermented apple cider, is versatile and slightly sweet, but still punchy like a vinegar should be. It works just as well in a vinaigrette as it does drizzled over a celery and apple salad. Try a spoonful in a smoothie or water to reap the benefits—lately, it’s been getting lots of love for its healthful properties including aiding digestion and weight loss, balancing the body’s acidity, and stabilizing blood sugar levels. To buy: $4 for 16 oz. ; amazon.com. 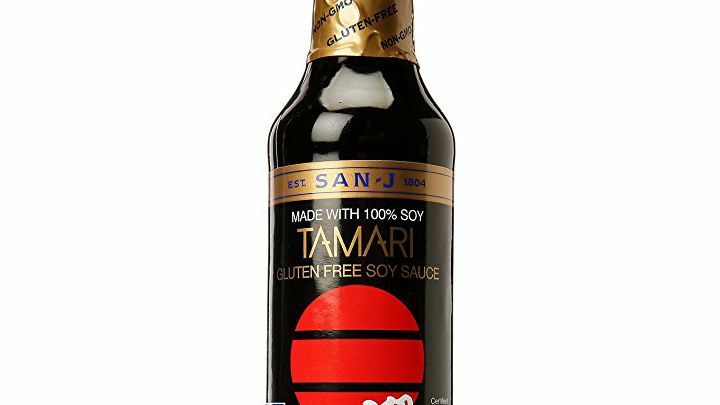 Very similar to soy sauce, but thicker, mellower, and superior since its made with only soybeans. Standard soy sauce is usually made with a mix of wheat and soybeans, and can have other preservatives. Because it’s made with only fermented soybeans it’s gluten-free which is a plus for those with allergies or a gluten intolerance. Use it to give a vegetarian gravy some depth or whip up a quick dipping sauce for dumplings, potstickers, or summer rolls. To buy: $3 for 10 oz. ; amazon.com. 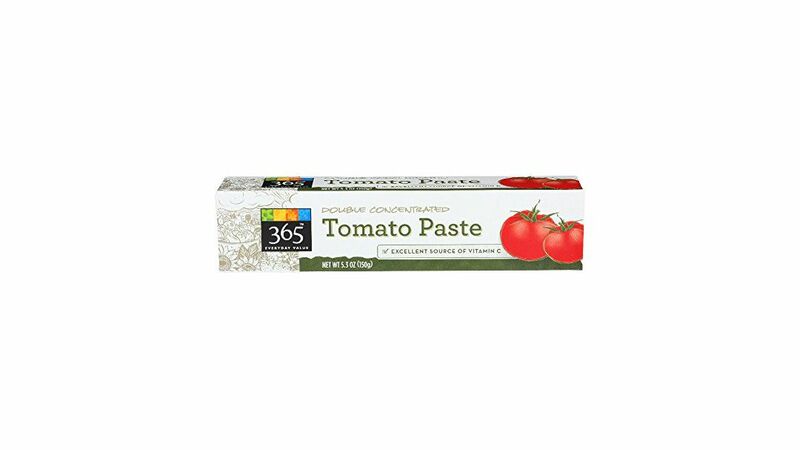 This thick paste, similar to natural nut butters, is made from sesame seeds and has the power to enhance sweet and savory dishes, as well as add depth to dressings and sauces. It’s what gives hummus that smooth texture and nutty flavor. Plus it’s rich in protein. It can add richness to baked goods and a pleasant bitterness to savory dishes. 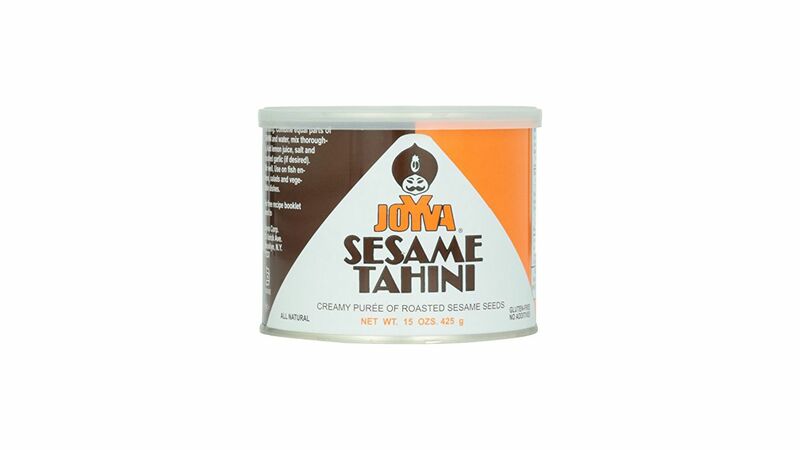 Shop for tahini made with unhulled sesame seeds to ensure its nutritional properties are left intact. To buy: $8 for 15 oz. ; amazon.com. While homemade stock is always best (you can control exactly what goes in it), it’s not always available on a weeknight. When homemade isn’t an option, we like to keep these on hand. 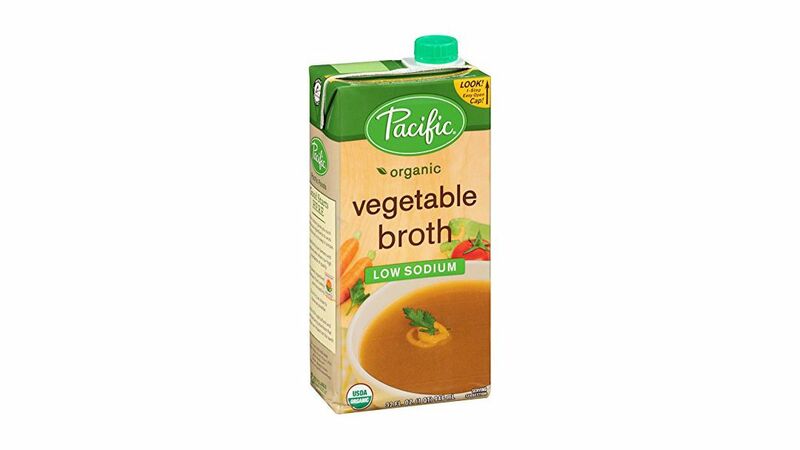 To buy: Vegetable Broth $4 for 32-oz. ; amazon.com. Chicken Broth, $3 for 32-oz. ; amazon.com. Sweeten dressings and sauces with a natural sugar rather than a refined one. It’s lower on the glycemic index than processed sugars which means the body metabolizes it slower and spikes in sugar are tamed (no more 3pm sugar crash). 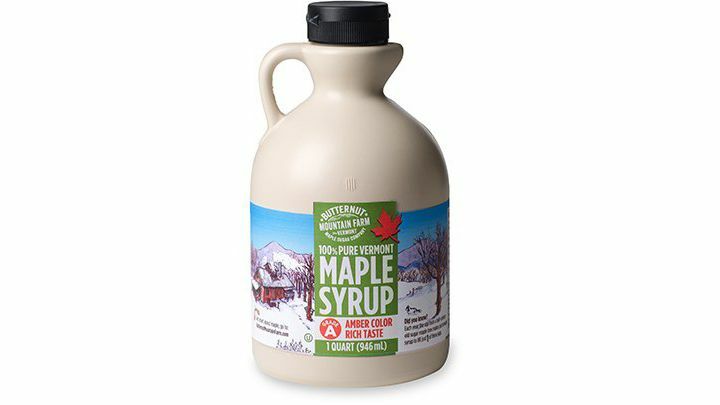 Look for darker syrups which are harvested later in the season—they have a more intense maple flavor and contain more antioxidants than lighter varieties. To buy: $14 for 32 oz. ; amazon.com. 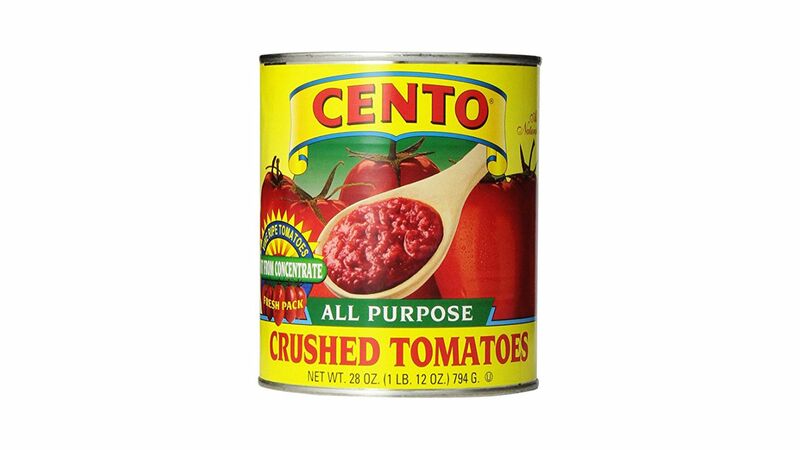 Because the tomato flavor is so deeply concentrated—the tomatoes are cooked for several hours, strained, then further cooked down until a deep red and rich paste forms—it is a major flavor booster in soups, sauces, stews, and marinades. Keep a tube (vs. a can) in the fridge for easy access. To buy: $2 for 5.3 oz. ; amazon.com. A 28-oz. can of this adaptable ingredient can save any meal in a pinch. Tomatoes add depth to a soup or stew and easily transform into a sauce with the addition of onions and garlic. It goes well with a variety of global flavors, too. Try them simmered with cumin and coriander for a Mexican touch like in this tortilla soup, basil and oregano for an Italian take, or cinnamon and cumin for some Middle Eastern flair. Our pantry is never without this powerhouse staple. We made it easy for you to shop this plus our other picks, here. To buy: $2 for 28 oz. ; amazon.com.